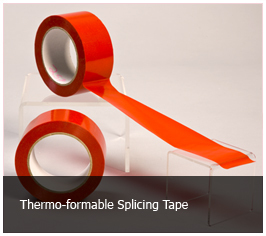 Marlee’s red splicing has been a constant in thermoforming industry for the past 4 decades. Monta film 257 has been especially developed for splicing of thermo-formable films. The rigid PVC film (not orientated) is coated with a special transparent adhesive. Please call for a sample and pricing.